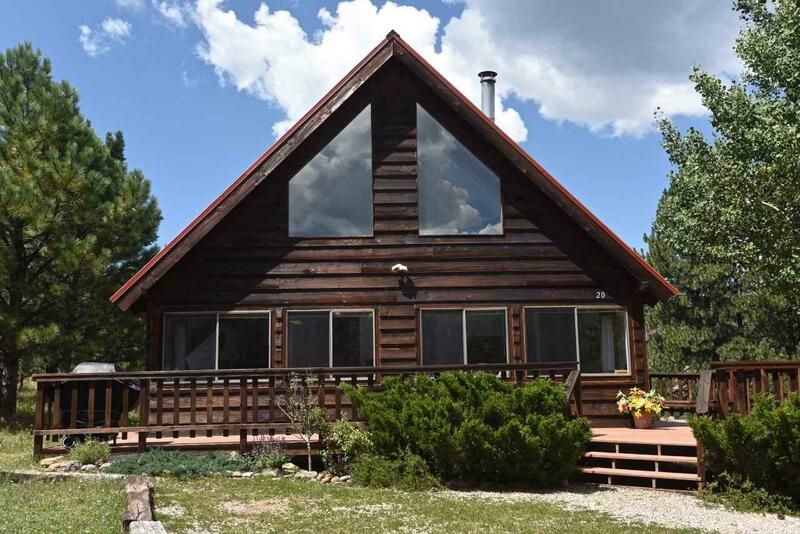 20 Preston Trail, Angel Fire, NM 87710 (MLS #102046) :: Angel Fire Real Estate & Land Co.
A big little house in a great location. Ideal for someone wanting to spend time enjoying the great outdoors and not buried in property maintenance. Built by Carlisle Construction in 1986, space is light-filled, interesting and well-planned. 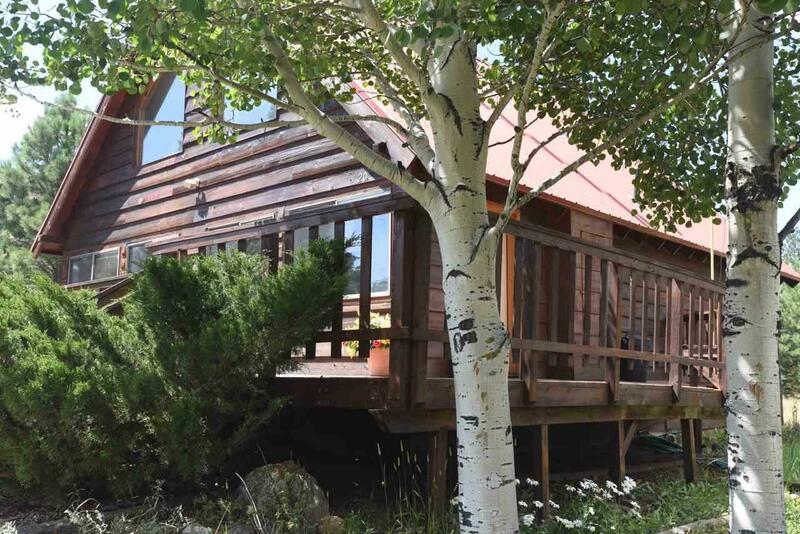 Chalet-style home with vaulted ceilings, wood floors, and efficient wood burning stove in LVRM. 2 bedrooms and roomy eat-in kitchen with electric range, microwave, dishwasher and refrigerator on first floor. Full-size washer and dryer. Stairs lead up to small loft that, with a small sofa bed, could be used for extra sleeping space. Large Master BDRM, with walk-in closet, on second floor accommodates a king bed with night stands, and still has plenty of room for a trundle bed, seating area and computer desk. Hallway has wood floors. Both bathrooms have granite vanity tops and lower BA has radiant in-floor heat. Sleeps 11. 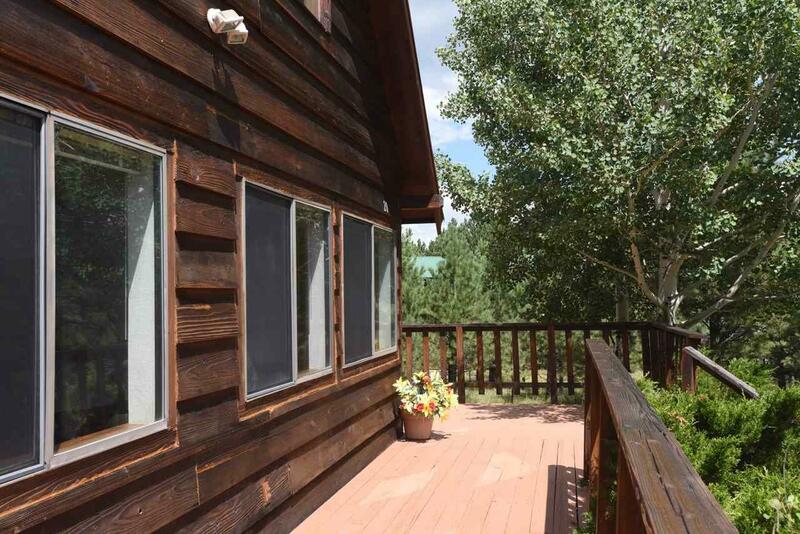 Forced-air heat, along with wood burning stove and solar gain from Chalet windows help reduce heating bills. 576 +/- sqft of decks for your BBQ and outdoor seating. House surrounded by lovely, healthy conifers and wildflowers. Distant mountain views from front of house. Flat, easily accessible driveway off a paved road. On town water and sewer. 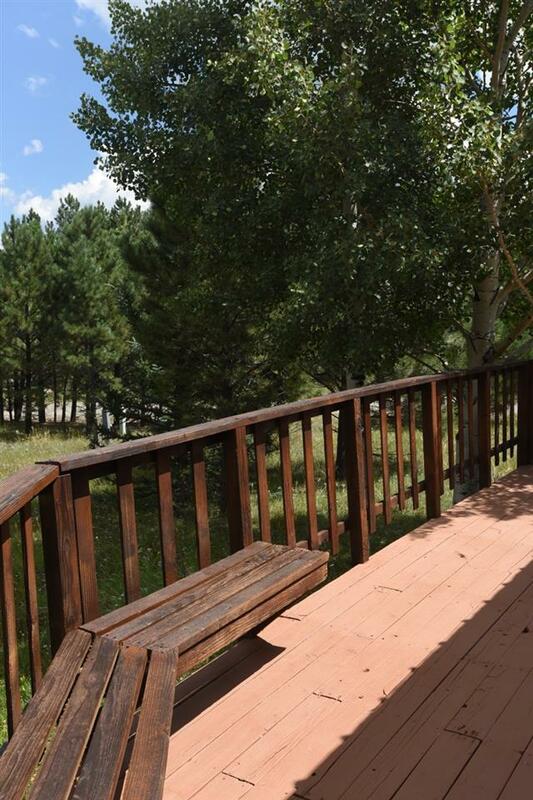 Close to the Village of Angel Fire, Angel Fire Resort ski mountain, Country Club, PGA-rated golf course and Monte Verde Lake.